A new study suggests that efforts to restore coral reefs, such as this staghorn coral thicket outplanted at Great St. James, have a positive impact on fish populations, both short- and long-term. A year after these staghorn corals were outplanted near St. Croix's Cane Bay, the quantity and variety of fish has increased dramatically. Opel surveys the fish around an outplanted colony near St. Croix. 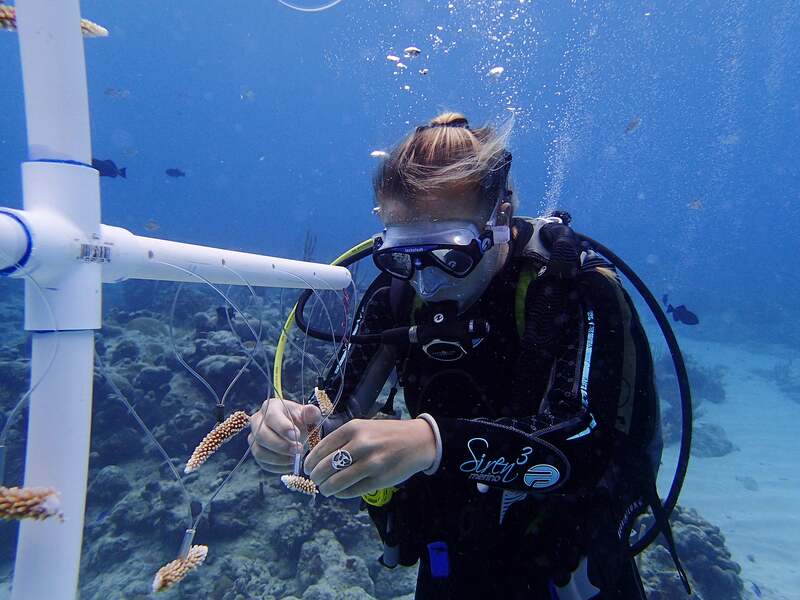 This research was supported with funding from the Harvard College Office of Undergraduate Research and Fellowships, Harvard University Center for the Environment, Museum of Comparative Zoology, Marine Conservation Action Fund, and the National Science Foundation.